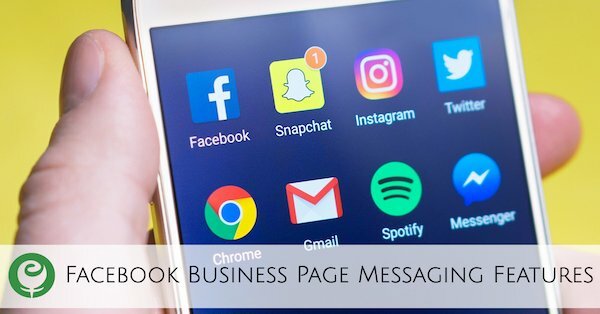 If you haven’t poked around your Facebook Business Page’s Messaging settings for a while, you may be in for a pleasant surprise! 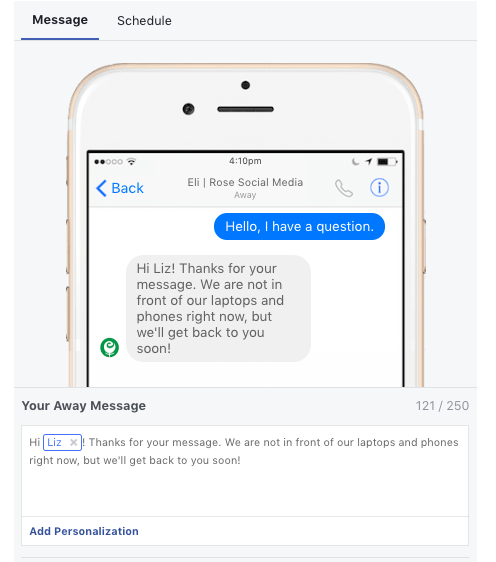 The power of Facebook Messenger isn’t new, but the growth of Messenger for businesses has primarily been rooted in 3rd party tools such as Manychat until now. 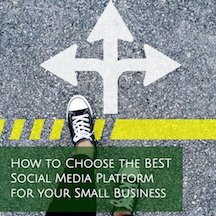 Facebook’s native Business Page messaging tools don’t provide nearly as robust a list of features, customization or possibilities as something like Manychat, but they are a valuable options for many small business owners who want to keep things simple. Also, it’s important to note that Messaging and Messenger Platform are 2 different sections with your Page’s settings. This post discusses only the Messaging section. 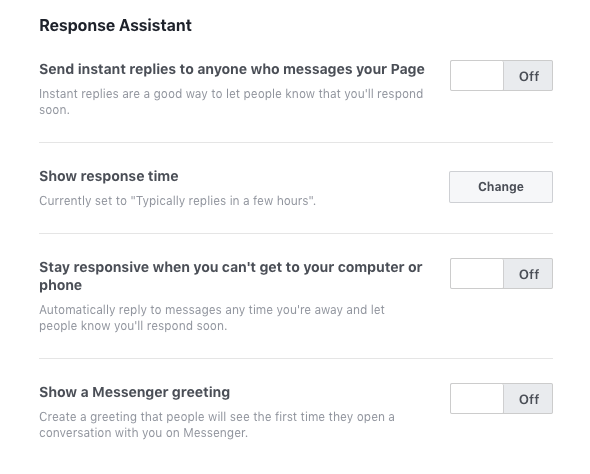 From your Facebook Business Page, click on Settings –> Messaging to get started. You’ll see links for sections called General Settings, Response Assistant, and Appointment Messaging. General Settings lets you control whether or not you can use the “Enter” or “Return” button on your keyboard to send a message as well as enabling a prompt to your Page visitors, encouraging them to message you. You must either be online or be very responsive to messages for this to show to Page visitors. 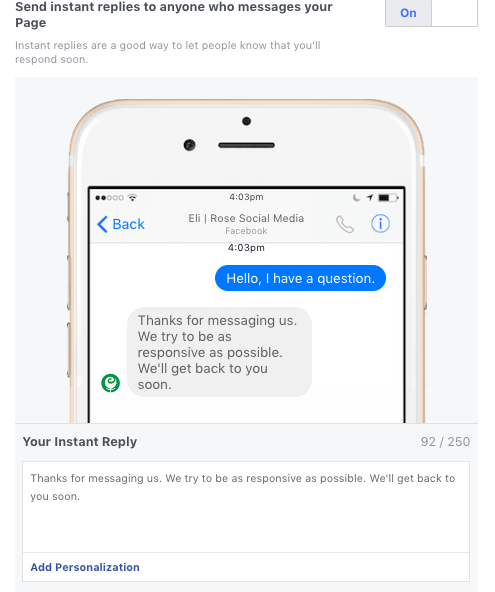 Response Assistant allows you to send instant replies to anyone who messages your Page, determine what response time message is shown to visitors of your Page, turn on an automatic reply for the times you are away from your Page, and create a greeting that is shown to a new Messenger contact. 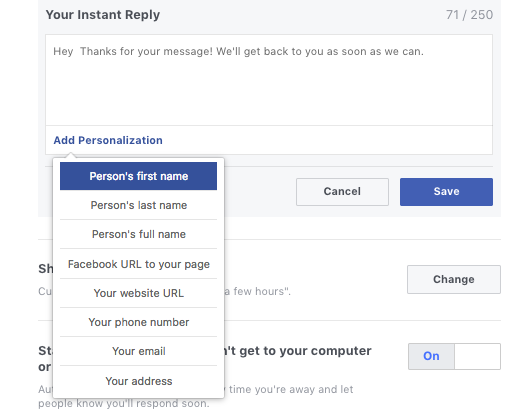 With the Instant Reply feature, you can use the default text Facebook provides, modify that text, and even personalize the message by having Facebook insert that person’s first name or your phone number. You are given 250 characters. Make sure you place your mouse where you want any personalized fields inserted into the message. 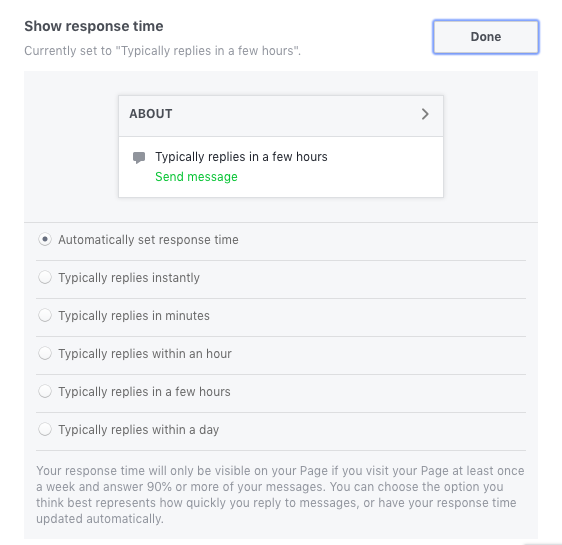 The Response Time label gives you a range of choices, from “Typically replies instantly” to “Typically replies within a day”, or you can let Facebook automatically set the response time based on your true response behavior. If you are away from your computer (or sleeping for the night), the Stay Responsive feature also provides a default text response that you can customize as well as personalize (up to 250 characters). You can even set a schedule for when this message is sent. 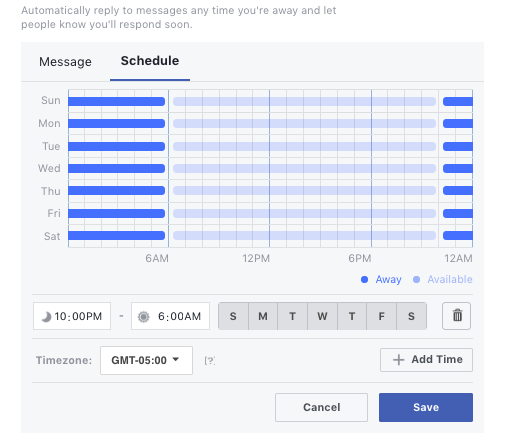 For those Facebook Business Pages that use the Appointment feature, you can set up appointment reminders as well as post-appointment follow-up messages in the Appointment Messaging section. Any of these Messaging features can be turned on or off, or customized to your needs, at any time.